One of the toughest choices to make regarding a Walt Disney World vacation is deciding where to eat. With all the options available at this amazing resort, it’s overwhelming for anyone planning their trip, whether they’re first-time visitors, or seasoned annual passholders. If you’ve done your research, you’ll see the pattern of some of the same names coming up over and over again in reviews and recommendations (Be Our Guest, Chef Mickey’s, Le Cellier, etc). 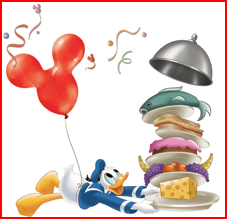 But hopefully, after reading this article, I can introduce to some of Walt Disney World’s unsung restaurant heroes. I have selected my own top six overlooked restaurants at Walt Disney World. Each of these offers great food, value, and even atmosphere but somehow seem to get left out of the top popular recommendations. The plus side, is that because these are often overlooked, that means they are often less crowded and have open reservation availability. These aren’t ranked in any particular order, and range between table service and quick service, but you’ll find one selection from each park, a resort, and Disney Springs. First up, the overlooked restaurant in Animal Kingdom, Yak and Yeti. With all of the publicity of the newly opened Tiffin’s and the standing popularity of Rainforest Café, Yak and Yeti often gets forgotten as a wonderful table service option. As far as atmosphere, there are two levels to the restaurant with multiple rooms on each level, and each room is adorned with unique, ornate decorations. Every detail leaving the guest of an experience of actually eating in a quaint restaurant in Asia. As for the menu, it definitely offers some unique Asian fusion options that you find everywhere. Some guests may pass by Yak and Yeti because the menu seems too ethnic or daunting for their taste buds. Any guest who does venture in will be richly rewarded. I can honestly account that the Kobe Beef Burger I had here was the best burger I’ve had anywhere. So, if you’re in Animal Kingdom, or looking for a fun and rewarding dining experience, be sure to not to overlook Yak and Yeti. 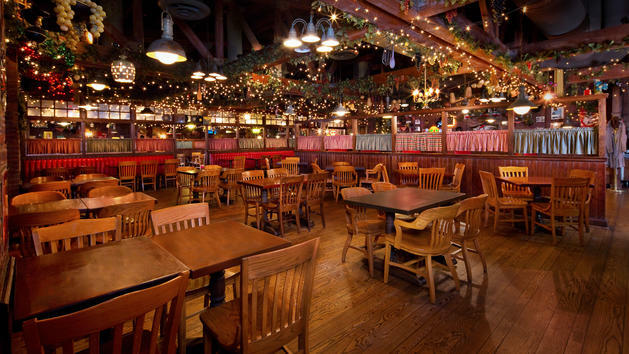 Next, we explore the overlooked restaurant in Magic Kingdom. Though Sleepy Hollow hardly qualifies as restaurant, in reality, it’s more of a snack stand. But still, the waffles sold here are large enough to be a meal by themselves. While the crowds rush to grab quick (and standard) bites at Cosmic Ray’s and Pecos Bill’s or have strained for months to get reservations at Be Our Guest or Cinderella’s Royal Table, Sleepy Hollow offers delicious and filling fare for a bargain. The menu often changes, sometimes offering spicy chicken waffles or ham and cheese waffles, but the classic that can always be found is the fresh fruit waffle with chocolate hazelnut spread. Located at the edge of Liberty Square, just overlooking the castle and the hub area, this place oozes with magical ambiance as you can munch on your waffle and watch as the Festival of Fantasy parade marches right past you! There are several dozen restaurant options Epcot, many of them you’ve heard of and have been scrambling to get reservations at (Le Cellier, Coral Reef, Via Napoli, etc). The restaurant I have for Epcot, is truly overlooked as nearly everyone sees it, some people even walk through it – but few people actually stop and eat here! Of course, I’m referring to Tangierine Café, a quick service restaurant in the Morocco Pavilion. I think this is a location that becomes victim of guests being scared that the cuisine might be too ethnic. Like most restaurants in Epcot, the food offerings here are very “American-friendly”. My favorite, the wraps (chicken or lamb) are offered self-assembly style, so you can make sure that your meal reflects your own culinary desires. Tangierine Café is an enclosed café, so it doesn’t offer much atmosphere in the seating area itself, but does offer open windows and doors to really get the unique experience of the Moroccan Pavilion. Morocco Pavilion is filled with beautiful details. Take a seat, enjoy your meal, and soak it all in. It seems like everyone has their favorite at Hollywood Studios, and maybe because it’s the smallest of the four theme parks in Walt Disney World, not a lot of restaurants are overlooked. That being said, I think the most under-recommended restaurant is Mama Melrose. Located near the back of Hollywood Studios in the Muppets Courtyard, Mama Melrose offers what I imagine every Italian mother in Chicago or New York would put on her Sunday dinner table. Options here are heaping portions of hearty Italian cuisine, including favorites like lasagna and spaghetti. Though the word is getting out about the deliciousness of Mama Melrose with its inclusion in the Fastasmic Dining Package, it’s still fairly easy to get a reservation here, or sometimes even walk right up for seat. Fair warning, though, these meals are not to be taken lightly. Bring someone with you to share your entrees, or plan to take in a couple of shows after eating, because these hearty meals take some time to digest! With more than 25 Disney Resort hotels on Walt Disney World property, each offering their own dining options, there are more than few overlooked resort restaurants. Ranging from food court-style to signature dining to character meals, there are offerings are unique and special as the resorts themselves. With so many restaurants vying for this spot, it was difficult to come to one answer, but the one that stuck out the most upon my reflecting was The Wave at the Contemporary Resort. Serving primarily sustainable and locally sourced food, the menu changes frequently, but it’s always good! You can usually find a steak option, and a changing sustainable fish offering, along with other delicious but rather traditional side dishes. The theming of The Wave is more of an artistic interpretation of the ocean with waving lines and colorful ranges of blues. It’s a pretty restaurant, but nothing really distinctly “Disney” about it. I’d definitely recommend this restaurant as a restful break from Magic Kingdom, perhaps enjoying a nice dinner here and walking back to enjoy an evening in the park and fireworks. 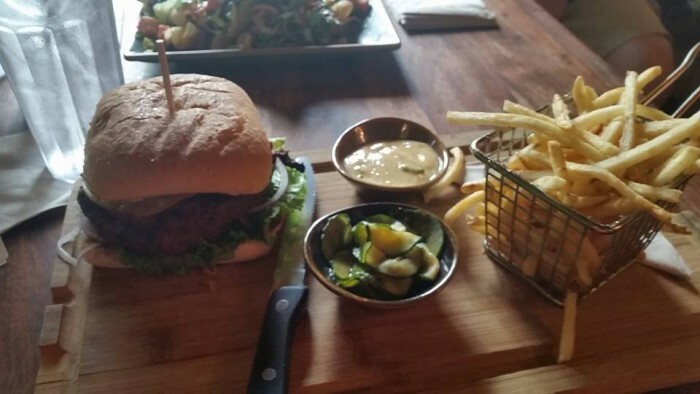 It definitely takes you away from the crowds and helps you relax and enjoy a delicious meal. Finally, my overlooked restaurant selection for Disney Springs. With so many new restaurants seemingly opening every week, it’s hard to keep up with all of the dining options now available at Disney Springs. Though, it’s tempting to follow the crowds and try to get into try the newest, latest, and greatest, don’t forget about some of the classics that still serve up a great meal. 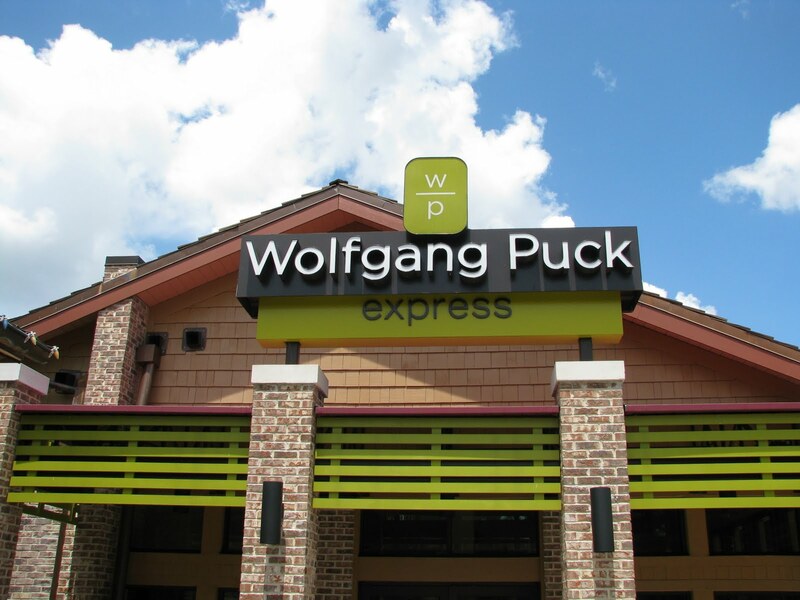 My choice for Disney Springs is Wolfgang Puck Express. Open for breakfast, lunch, and dinner, it offers the quality of Wolfgang’s cuisine, but at a price that makes it one of the best values on property. Wolfgang Puck Express has two locations in the The Marketplace area in Disney Springs and the West Side and offers some classic comfort food. From chicken noodle soup, to pizza, pasta, and roast chicken, you and your family will all be pleased with this choice. And bonus, it’s quick service, so no reservations required! So, what are your thoughts? 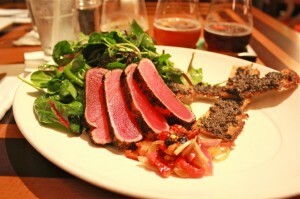 Do you have a favorite “overlooked” restaurant? Have you experienced one of these? Be sure to share your thoughts and comments below! 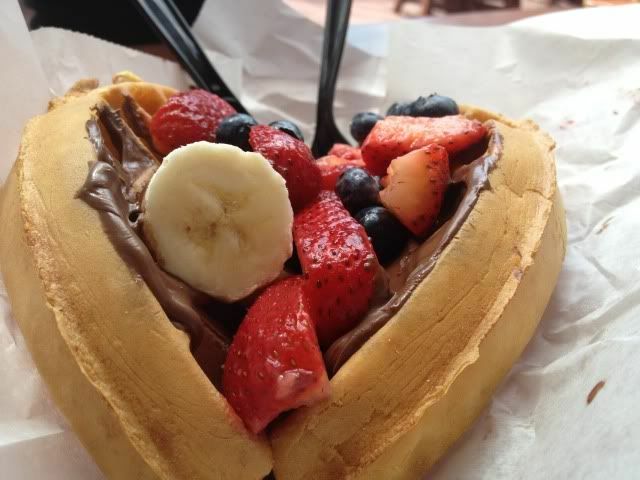 My husband and I love Sleepy Hollow’s fruit waffle! We make a point to eat at least one every trip. It’s not a Magic Kingdom visit without that waffle. We also ate at Wolfgang Puck Express twice in April (before all the new restaurants were opened). And I’d definitely second your opinion that it’s a great place to eat. Staff was friendly, the food was good (especially the heavenly mac and cheese), pricing wasn’t bad, it was not overly crowded and the outdoor seating was very pleasant. For resort options, I would suggest Capa, Ravello, Blue Zoo, The Fountain, Bull&Bear, Kimonos, and La Luce…all are fantastic and better than most Disney-run restaurants. For some reason, they are never mentioned on Disney blogs/podcasts/etc. I know! There are so many wonderful resort restaurants and it’s so hard to pick just one! I’ve heard the most amazing things about Bluezoo, but I couldn’t, in good conscience, include it here – because I haven’t eaten there yet! Trust me – it’s on my “to do” list!! You must visit Blue Zoo on your next trip. It is probably the best overall on property…and as a bonus, they have easily the best cocktail/mixology program. Also, Capa is equally impressive…with arguably the best steak on property and a unique Basque/Spanish menu. 1) The “Kobe” beef burger at Yak & Yeti is actually “American Kobe Beef”, for which there is no standard, as there is for Japanese Kobe beef. While it may be good, it’s not what most people think of as Kobe beef. 2) We couldn’t disagree more concerning Mama Melrose. My steak there was by far the worst, most nasty steak I’ve ever had in my life. I know the person ad Disney Food Blog raves about their steaks, but mine was horrible. Even worse, my wife’s Seafood Cioppino had mussels that were not cooked long enough to have opened and other seafood which smelled of ammonia (a sure sign the seafood has gone bad). We won’t be back. 3) Note that there are tables outside of the Tangerine Cafe which offer a more scenic atmosphere than sitting inside. We’re eaten at Yak&Yeti, Tangerine Cafe, The Wave, and Wolfgang Puck Express. ved The Wave, but several members of my family found the environment (loud music, acoustics, low lighting, very difficult to talk across a round table for 6) gave them a headache! Wolfgang Puck was the best quality for the money, and will accommodate special requests (although, for us, leaving all the expensive things out of the pasta dish to make it kid friendly still cost us the full price). Always wanted to try the waffles at Sleepy Hollow that everyone raves about! WE did Yak and Yeti and our grand kids loved it. Enough so that it was highly requested on our return visit 2 yrs later. Stop telling folks to go to The Wave. It’s getting harder to get a table. Nice craft beer selection, as well. We love Sleepy Hollow waffles! Kona Cafe is a nice alternative to the chaos of ‘Ohana. We like Yak and Yeti, too. AND, (at last check) it’s a Landry restaurant. So if your a member of their “frequent flyer” type program, you can get pretty hefty discounts. or if you aren’t yet a member, sign up and pick your travel month as your birthday. They send you a special discount to use during your birthday month. I think I remember it being like $25, so it definitely helps. The most overlooked restaurant is only opened seasonally now…and is located at one of the most overlooked attractions. Tom Sawyer’s Island. Aunt Polly’s Porch, if you’re lucky enough to find it open, serves a basic box lunch, ice cream and bottled sodas (on ice in a wash tub), It’s a great place to take a break while the kids explore the island. They used to serve cold fried chicken with half a ham sandwich and a cookie in a box…which was fantastic for the setting and theme.